Woohoo! You’ve finally finished your manuscript (congratulations, by the way), and now it’s time to start the editing process. But, wait—are you sure you’re ready for this next step? Check out this post first to figure out if it’s time to submit your manuscript for professional editing. Once you’re completely confident that your manuscript is ready for a professional edit, you have an important choice to make. 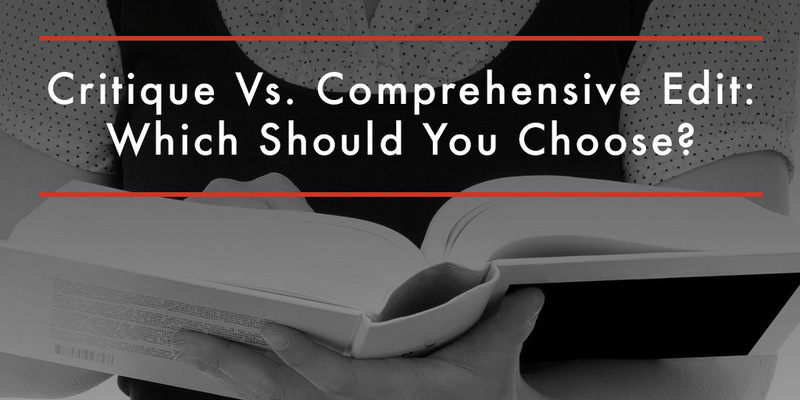 Should you choose a manuscript critique or go for a comprehensive edit? Below, we’ll discuss the differences between the two, and help you figure out which type of editing to choose. Let’s get started! Bonus: Here’s a list of questions to help you decide if you’re ready for editing. The manuscript critique (also known as MC) is a general assessment of your manuscript. It’s like a bird’s-eye view of your entire story. During this type of critique, we’ll look at the overall story, focusing on the three Ps: plot, person, and pacing. Consider a manuscript critique an entry-level edit. It’s where your editor will look at your whole manuscript and show you the areas that need tightening up to make it stronger and more cohesive. 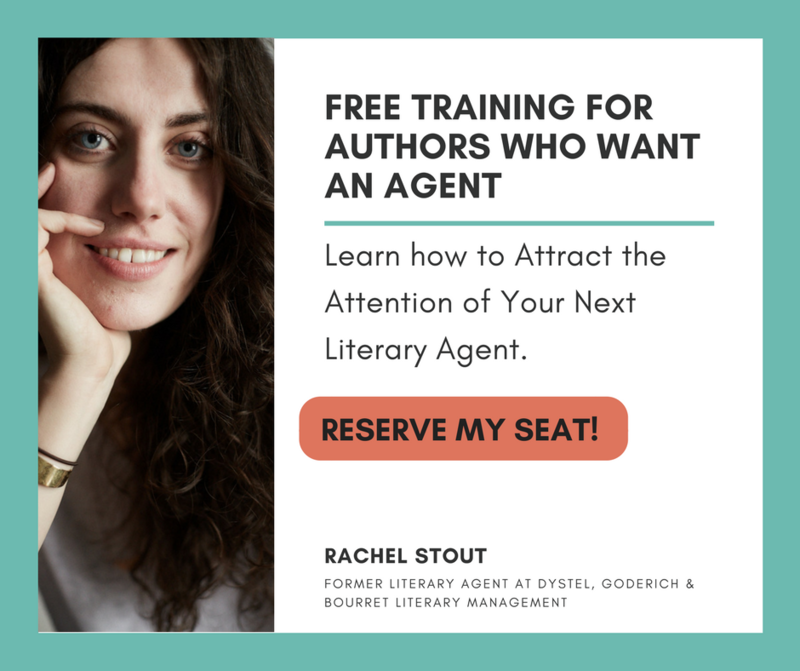 You’ll receive actionable advice on how to improve your story in the form of an editorial memo. An editorial memo is the editor’s thorough response to your manuscript. The editorial memo opens with a general statement about your manuscript. The editor offers his or her response to your story. 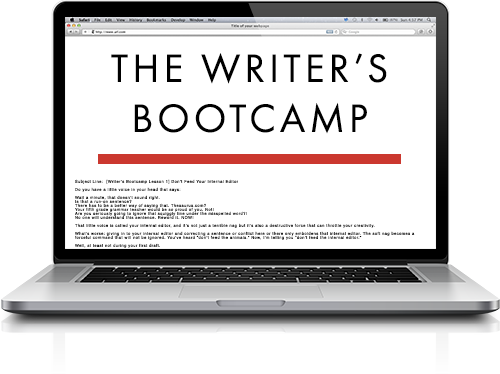 Then, the editor delves into a detailed critique of your story and how it can be revised. The editor will cite specific passages and share ways to improve your story. Here’s a look at two examples of editorial memos. It’s important to note that an editorial memo isn’t a closed directive. If you have questions for the editor, we encourage you to follow up. Your editor will be happy to offer additional clarification to support his or her notes in the editorial memo. You can also ask for further advice based on the editor’s suggestions. You can meet with the editor face to face (depending on the editor’s location), or you can also meet virtually over Skype. Of course, your editor is also available via email and over the phone. How long does it take to receive a Manuscript Critique? It depends on the editor’s schedule, but you can expect a manuscript critique within five to seven weeks. A manuscript critique averages between $1000 and $2500. It varies based on the length of your manuscript. Determine your quote here. While a manuscript critique is an entry-level type of edit that can help clarify your story, a comprehensive edit is the most detailed editing package we offer. Keep in mind that not every manuscript is ready for the comprehensive edit. In fact, we often recommend that you submit for a manuscript critique first so that your story is as tight and cohesive as possible. Next, you’ll work on the suggestions given to you through your editorial memo. Finally, you’ll submit your manuscript for a comprehensive edit where we’ll dissect your story in every way imaginative—from plot to perspective, tension to tone, dialogue to development, and more. 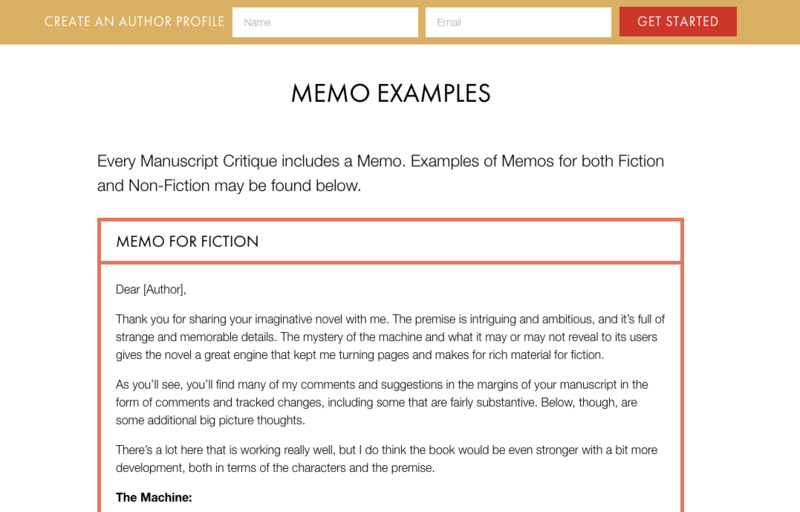 Similar to the editorial memo delivered in a manuscript critique, the editorial memo for a comprehensive edit discusses ways to improve the overall structure, ideas, and pacing of your story. However, for a comprehensive edit, the editorial memo is much more in-depth. Instead of addressing structural issues that you’ve since corrected as a result of your manuscript critique, the editor now has more room to advise you on how to make your story even stronger and more poignant. He or she can focus on the elements and devices you can use to craft a more compelling story. The line edit is the most detailed part of the comprehensive edit. During the line edit, the editor meticulously scours your manuscript for any weakness, line by line—hence the name. All line edits are made in Microsoft Word so that you can easily see the editor’s changes (made in suggestion mode). You can then accept, reject, or modify the editor’s changes as you see fit. The line edit is an intensive treatment of your manuscript, and not for the faint of heart. This isn’t an exhaustive list by any means. Your line edit will be specific to your manuscript, and will include everything you need to create a more harmonious story. The point of a line edit is to deliver a story with fluid, flawless prose (or as close as possible!). How long does it take to receive a Comprehensive Edit? Because of the detailed nature of a comprehensive edit, this type of edit may take twice as long as a manuscript critique. You’ll receive a comprehensive edit back within six to twelve weeks. Of course, the exact timeline will depend on your editor’s schedule. A comprehensive edit averages between $1500 and $5000. The cost varies based on the length of your manuscript. Determine your quote here. The next step is to fill out your name and email here and then upload a sample of your manuscript. We’ll review it and then pair you with the perfect editor for your manuscript. You’ll find out more about them, along with a list of books that they’ve edited. From there, your editor will do a test edit and provide a consultation call to discuss your manuscript. Next, you’ll receive a detailed explanation of the type of edit your editor believes is best for your manuscript (critique vs. comprehensive). After you accept, your editor will get to work editing and revising your manuscript. Are you ready to take the next step? We can’t wait to work with you! Fill out your details here. I am writing a non-fiction book with two parts–the second part yet to write, and would like more info on your work. Thank you for Natasa’s fine articles on writing and publishing. I appreciate them! I accidentally lost a recent one before reading it properly. Could you please resend it? It was on on self-publishing versus attempted print publishing. I would be your customer already, but when I a couple of years ago tried to get a few chapters of my novel edited, the answer was that you will only handle the complete novel. I needed that editing and in addition I wanted to see what you would accomplish. I ended up using another editing company. Perhaps you could start handling texts shorter than complete novels? I would like to be able to get a thorough edit on the first half of my proposed book. If I am doing something that needs attention, I would be better able to correct my error before writing the whole book and paying SO much money. I follow Sean Coyne’s podcasts. He developed the Foolscap Story Grid methodology. I spoke to one of his certified Story Grid editors recently, and said the very first thing to do is to get your first “sophomore” draft improved to first professional draft form. She advised using the Foolscap method (implementing Sean’s 5 Commandments at every level of the story form). For $1000, she would then do her own Foolscap critique, and using Story Grid on the stories first 5 scenes. 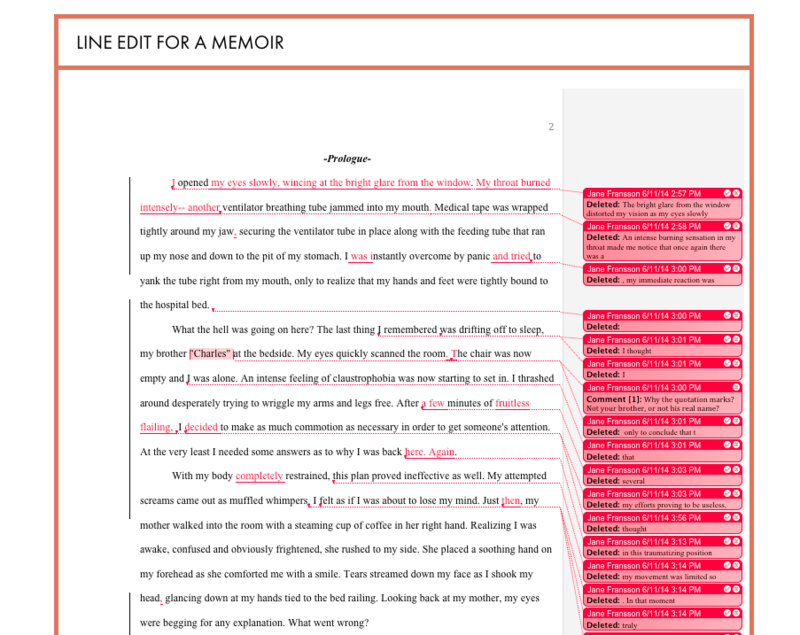 The Story Grid uses anywhere from a 14 metric critique to a 30 metric critique of each scene. For $500/month and until the editing is complete, she would use the Story Grid on all scenes and issue weekly critique evaluations on all re-writes. When the developmental edits are done she recommends proofreaders. Here’s a list of questions to help you decide if you’re ready for editing. Subscribe to receive this extra resource.